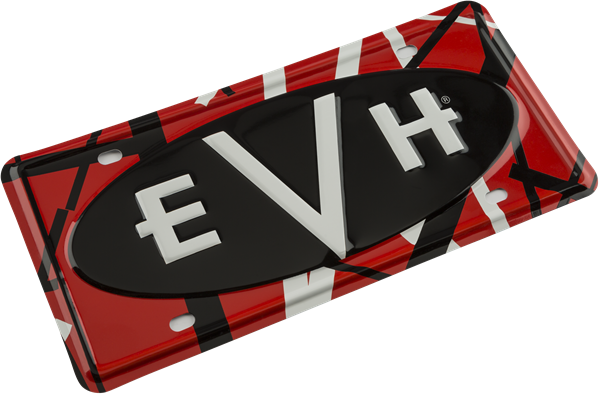 Stripe your ride with this red, black and white EVH® logo license plate! Four mounting holes makes it easy to mount to most vehicles. Also makes a great display piece for your home, office, studio, or fan cave. Measures 11.5" x 5.5".